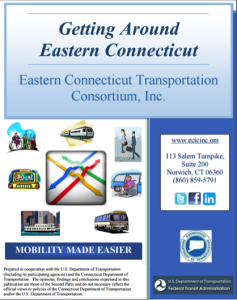 The Mobility Management Programs listed below are funded by the Federal Transit Administration and are working closely together along with the CT Department of Transportation to show you your transportation options and to identify gaps and barriers. The entire state is covered so take a look for your town below to contact your Mobility Manager. 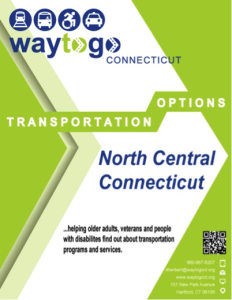 We would be happy to come out to your organization to educate you on transportation options. 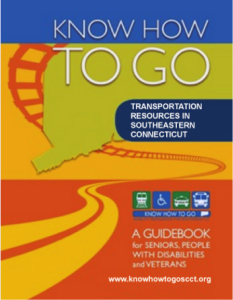 Know How to Go South Central CT covers the towns of Bethany, Branford, Chester, Clinton, Cromwell, Deep River, Durham, East Haddam, East Hampton, East Haven, Essex, Guilford, Haddam, Hamden, Killingworth, Lyme, Madison, Meriden, Middlefield, Middletown, Milford, New Haven, North Branford, North Haven, Old Lyme, Old Saybrook, Orange, Portland, Wallingford, Westbrook, West Haven, and Woodbridge. Northwest Mobility Management covers Ansonia, Barkhamsted, Beacon Falls, Bethel, Bethlehem, Bridgewater, Brookfield, Canaan, Cheshire, Colebrook, Cornwall, Danbury, Derby, Goshen, Hartland, Harwinton, Litchfield, Middlebury, Morris, Naugatuck, New Fairfield, New Hartford, New Milford, Newtown, Norfolk, North Canaan, Oxford, Plymouth, Prospect, Redding, Ridgefield, Roxbury, Salisbury, Seymour, Sharon, Shelton, Sherman, Southbury, Thomaston, Torrington, Warren, Washington, Waterbury, Watertown, Winchester and Woodbury.